Our next meeting, on 20th February, is all about decluttering. 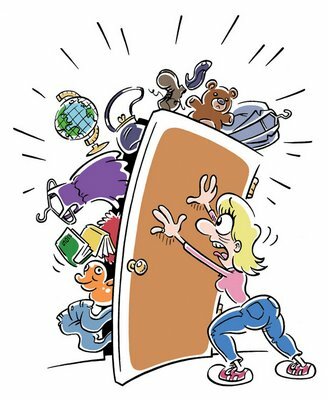 Johanna de Valeur, a professional organiser and declutterer, with a background in design, will be introducing/re-introducing us to, the benefits of decluttering. We meet at St Margaret’s Hall, Old Ford Rd, Behind the Gallery Cafe at 7pm aiming to start at 7.30. Entry for members is free and visitors are asked to donate £4.00. Before then, this Friday, 9th February, we will be hosting Chissenhale Gallery’s coffee morning from 9 to 10.30. There will also be a talk on the current exhibition. The coffee morning on the 23rd February will be at Kaffe 1788, 4 Vesey Path, E14 6BT, from 10.30. 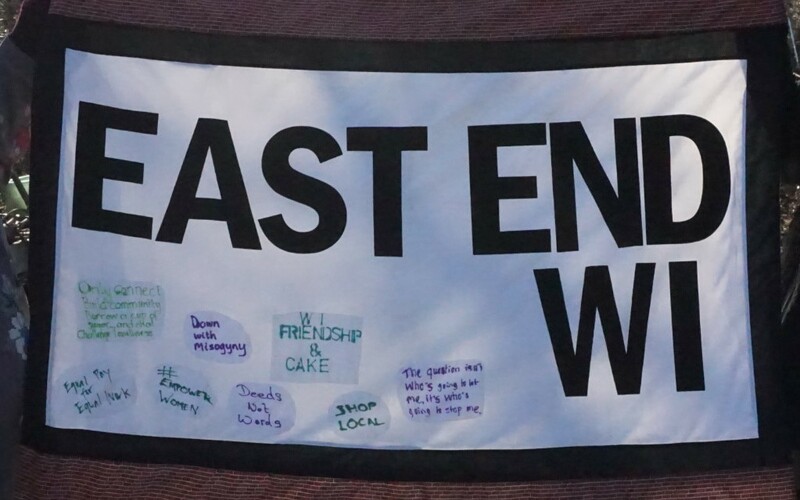 The 100 Banners project has been invited to take part in Care International’s central London march to commemorate the suffrage movement and celebrate women’s rights and we are planning to walk with our banner. Everyone who wants to come should register with this website. Closer to the time we will coordinate meeting up. A selection of the 100 Banners will be featuring in the final event of the WOW (Women of the World) Festival at the Southbank. Members and non-members are very welcome to join us. If you can let me know if you are interested, by replying to this email, we will then buy tickets (we may get a discount). Tickets are priced between £40-20. I am most likely to go for the least expensive. Our March meetings will be continuing the theme of women in politics. Firstly on the 20th March, when with Meg Hillier, MP for Hackney South and Chairman of the Public Accounts Committee, is hoping to be able to come to talk about her experience. As usual this will be at St Margaret’s House. Our coffee morning on the 23rd March, will be at The Museum of London, when we can visit their Suffragette/Suffragist exhibits. Being a new year it is the time to join/renew your membership of EEWI.